DM9 JaymeSyfu made history by bringing home three out of the four major awards at the 17th Agency of the Year awards. The win was indisputable, with DM9 sweeping the coveted Agency of the Year, Best in Creative and Best in Management of Business. Ogilvy & Mather was awarded the Best in Market Performance Award. The “lean mean machine” of just 33 people won five metals in total, including the Best in Industry Leadership & Community Service and the Digital Excellence Award given to its digital arm Di9it. “When I heard our agency’s name announced, it was so surreal. It was like a dream. And, I could attest that every single DM9ner contributed to this. I likened this AOY win to a medical check-up and DM9, thank God, was in a pretty good shape,” chairmom and chief creative officer Merlee Jayme said. Di9it’s managing partner Carlo Ople admits that the Digital excellence Award was an unexpected win but was ecstatic with achieving the feat considering the agency’s age. Starcom Mediavest remains as the Overall Media Agency of the Year but also snatched Media Agency of the Year – Best in Business. Mediacom brought home the Media Agency of the Year -Best in Creativity. 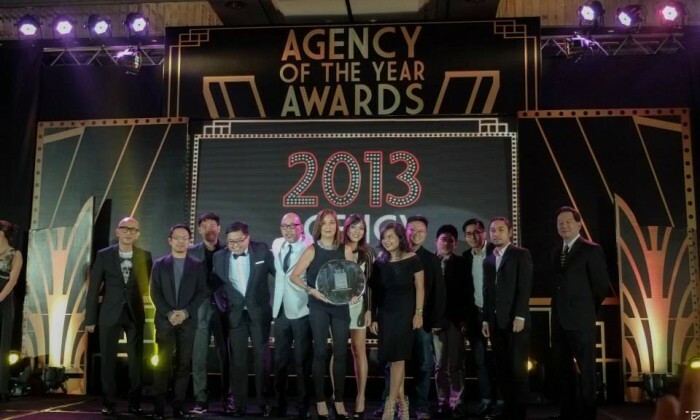 Below is a complete list of the winners at the Agency of the Year Awards organized by the Association of Accredited Advertising Agencies of the Philippines (4As).